Three big problems are the material strength, power for the trains, and the time it takes to make that 22,000 mile trip. These actually become significantly easier (and doable with modern technology) on lower gravity bodies like the moon. Yeah, they would be simpler on smaller bodies like the Moon. I focused on habitable planets because that is where they usually show up in SF. I think that a rotovator might be more feasible. Use heavy lift LTA blimps to get things to a stationary floating platform high in the atmosphere. Then a rotating tether swings down, grabs the package and then swings up into space carrying the package into orbit. If designed properly, the grapple cable seems to just dip down and go straight back up. In truth, it is making great big arcs and there could be considerable acceleration at some points. A rotovator does away with the 'railroad' issues of moving cars along the cable; all you need is a grapple system at the end. The process is not unlike the meshing of gears, as seen from a point on the rim of one of the gears. There is some lateral motion during the drop and pull-up, hard to visualize. I don't think acceleration as such would be a huge problem, but there could be some very tricky aerodynamics. I live about 30 km from Vandenberg AFB, and it illustrates the situation perfectly. In terms of facilities and staff it is the equivalent of a major airport, and it averages maybe a launch per month. The result: horribly low productivity. How much would air travel cost if jetliners could only fly once a month? Space Elevators and Orbital Elevators, an interesting topic indeed. In fact these Techno-Beanstalks are becoming increasingly popular in some science fiction movies and series. However the only ones that I can think of off the top of my head that feature Orbital Elevators are Gundam 00, Tekkaman Blade, Jovian Chronicles, and Zone of the Enders and those aren't exactly what one would call Hard SF. However, unlike what is shown in these series, the orbital concept and the climbers in particular that I have researched so far only go up, rather then up and down like an elevator. Something tells me that reentry will be just as firy as ever even with the creation of Orbital Elevator(s). The Rotovators that Citizen Joe describes sounds like a variation of the Sky Hook concept and something I've seen on the Discovery Channel once upon a time. The Rotovator's rotation, especially if the tether's length is decreased during the rotation, might even be used to launch payloads and vehicles away from earth if the timing is correct. As for the notation of Space Elevators being obsolete over time, well unless someone invents a contra-grav devise that allows for propulsion-less lift off a planetary surface, the Space Elevator would still have its use in at least cargo hauling and personnel shuttling for the foreseeable future. Mass Drivers I think would be more useful and efficient in a micro-gravity environment then as an alternative for Surface-to-Low Orbit launch system. The only other possible competition for the Space Elevator, outside the Sky Hooks and Orbital Rotovators, would probably be a kind of Booster Stage Rocket Taxi where shuttles and other like-spacecraft pay a fee for the use of a reusable Booster Stage Rocket and even then it may not be as economical. I suspect the talk is all about going up because that is what everyone is concerned about. But if you can ratchet your way up the thing you can presumably ratchet your way back down. Though unless you have just a single car shuttling up and down, you'll need a 'two track' arrangement, or at least passing sidings. Obsolescence: I was having some metaphorical fun, deliberately conflating two quite different sorts of 'obsolescence.' One is intellectual (see my Hard SF entry in the main Tough Guide). Elevators and variants are currently popular in SF, but if the required materials tech does not pan out they will fall out of fashion, and stories featuring them will become period pieces. Hmm... looking at the actual numbers, the floating platform won't be higher than 20 km (30 on the absolute high end). But low earth orbit starts at 160 km up to 2000. So that extra 20 km saved isn't much except for reducing air drag on the lines. At LEO, orbiting takes about 90 minutes... Hmm... assuming the grapple 'touches down' 24 times per cycle and we orbit in such a way that the Earth's Rotation means slower rotovator rotating, we're looking at a 266 km cable which rotates every 4 minutes and the whole thing orbits about every 90 minutes. End result, 20 gees of lift off as you reach 286 km in one minute. That makes for a hell of a ride. Actually, 6 gees for over a minute is pretty much fatal. So that design needs to be reworked, but I'm not sure if a longer tether makes things better or worse. A longer tether should make things better acceleration-wise. The tighter the turn you make at any given speed, the more g's you pull. A longer tether would also mean less change in the velocity vector of the tether end, clamp, and payload as it passes through the atmosphere, reducing the aerodynamic problems. On the other hand, a longer tether may mean more load on the tether itself, because while g's are lower, the longer tether means more tether mass. Way above my pay grade! Rocket Launches may be cool to look at, but they are still deadly none the less if even one minuscule thing is off that'll make the rocket more like a bomb. It has been said, not exactly sure by who exactly, that the first and last thirty minutes of a mission are the most dangerous. A Prime example of a deadly thirty minutes being a little event that involved a shuttle that went by the name "Challenger". However, until one can economically make Carbon Nanotubes in vast quantities for the construction of even a single lane space elevator, Rocket Launches are going to be the only economical and simplest way for we humans to get into space and even then they're a bit expensive. But from what I've researched, our experience with Space Elevator Construction might come from the settlement and development of the Moon and Mars since their lesser gravities would allow more conventional construction materials to be used in the creation of those elevators. They might even be used for interplanetary missions akin to Aircraft Carrier Catapults. Rotovators and its skyhook cousins would probably be the more likely predecessors to the Terran Space Elevator if only because they don't require such expensive and exotic materials like Carbon Nanotubes for their tethers and cables as far as I know. Or would be once the little problem of tether length and G accelerations that Citizen Joe mentioned have been worked out so that humans could actually survive the trip. Looks like a 9/11 sequel to me. Bigger, louder, higher budget, but same damn plot. How do people expect to secure a space elevator when we can't secure an office complex? How do theoretical elevators compare with the theoretical sort of shuttle-type vehicle that gets piggy-backed some of the way up on an airliner? Those always looked quite plausible to me (humble biologist) on the grounds that they avoid the tremendous effort of a vertical lift-off. Forgive my ignorance if this is a dumb question. Sabersonic and Ian - Add Columbia and two Soyuz losses for hazards in the final 30 minutes of a spaceflight. Of course, even presuming that carbon nanotubes (or some other super material) pan out, the actual operation of elevators and rotovators has plenty of its own hazards and challenges. Elevator fans tend to be amazingly cavalier about the 'secondary' operational aspects - including what Ian noted, security issues. I make the analogy to a 40,000 km railway viaduct turned on end as a reminder of the sheer scale of the thing. Elevators/rotovators on the Moon and Mars are lots easier to do ... but so is ordinary rocket flight, given much less kinetic energy needed for orbit. At risk of making myself unpopular, space advocates have a looong history of being naive or disingenuous about costs and difficulties. Read 50s era cost estimates of rocket/spaceplane tech for some truly spectacular lo-balling. Carla - Not a dumb question at all. There are some problems with piggybacking. At Mach 0.9 and 10 km altitude you still face most of the kinetic energy needed to reach orbit. So the orbiter needs lots of fuel, making it heavy, and releasing it in flight a tricky operation. If you whomp up to Mach 10 at 30 km for release, the 'first stage' aircraft has to be an aerospace plane in its own right, not a modified airliner. It is an idea I like in principle, but tricky in practice. On the other hand, elevators are a purely theoretical tech, and see my comment just above about a 40,000 km railway turned vertical! Carla, check out Virgin Galactic, SpaceShip Two. Actually, bomb attacks on a tether are not really a concern. Suspended bridges are notoriously difficult to bring down because very little of the bomb blast gets directed at the cables (very small cross section). Additionally the cables are very strong to begin with. In order to bring down a bridge, you have to focus the blast on the cables themselves, i.e. get out of the truck, climb out on the rail, mount a shaped charge on the cable, then detonate it. Since bridges have a lot of redundancy built in for safety, you have to repeat this process several times. The space elevator tethers have the same characteristics. Flying a plane into one is also more likely to just cut the plane in half. Remember that the initial impacts and blast didn't bring down the towers. They were on fire for a long time, which melted the steel and that caused the collapse. There's no fire in space, no confined location for the fire to work on the cable. Actually the steel weakened due to the fires, not melted Citizen Joe. Minor nitpick there. As for the dangers the Space Elevator would face that would either cause a collapse or a hemisphere-wide whiplash that's a billion times worse, are the micrometorites. I'm not sure how difficult it is for carbon-nanotubes to be damaged but I'm figuring like all earth-made materials and the relative velocity of orbiting objects, speed kills. One can engineer a space elevator that could be somewhat movable with the base being connected to a sea base that's basically an over sized ship, a counterweight might also be fitted with maneuver rockets but that's as mobile at it'll get, which is effectively poor. One can effectively say goodbye to any satellite that isn't able to move itself out of the way of the elevator stalk. Or any other space craft whose pilot isn't isn't paying that much attention now that one thinks about it. 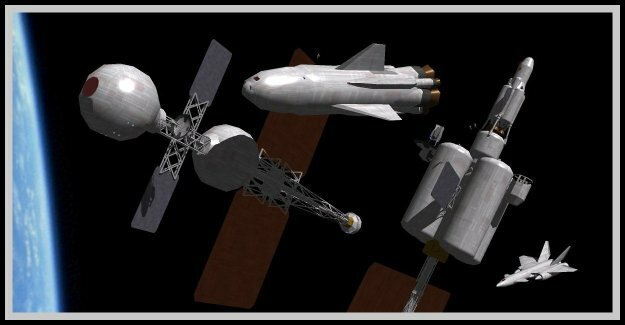 Though I do wonder if space stations built upon, around, or beside the beanstalk would be beneficial in not only allowing human beings to travel to the eventual space hotels in Earth Orbit, but also in deploying satellites and even retrieving them for refuel and repairs. I have a feeling that Geosynchronous Orbit would not be the most heavily visited "floor" of the elevator when there is much more real estate potential in the lower Geocentric Orbits for space stations and satellites. Citizen Joe - The cables (necessarily!) have enormous axial tensile strength, but I'm not sure how that translates to violent lateral impacts, e.g. the main wing spar of a plane. And while most of the cable is in space, the lower end is not. If a plane hits a train on the cable, you could get a fire environment not unlike the WTC, with burning wreckage soaked with jet fuel. And the cable is made of coal! If fire takes hold on the cable itself, it will burn. Sabersonic - You slipped. Only at geosynch is the cable at orbital speed. You can have stations lower down (though they add to the load on the cable), but you can't put things into orbit from lower levels simply by tossing them out a hatch. As you noted, space traffic below geosynch (and also above, out to the counterweight) will have to be wary of hitting the cable. Certainly finis for the spacecraft, and hitting at orbital speed could deliver enough kinetic energy to break the cable. You don't need to bring a bridge down to make it useless. You just need to blast out the deck. Given that beanstalks are generally proposed as major 'launch platforms' carrying hundreds of millions of dollars of cargo, cargo with a long-term value of many billions of dollars, even a temporary disruption of service would be an economic catastrophe. Think of it as a concentration of value. Instead of a dozen launches lifting a satellite, a crew of technicians, parts for a spacecraft under construction, volatiles for station lifesupport, food... You have one elevator car lifting all that material. Hit that car with a Messerschmitt Me 163* at 12 kilometres up and you've got yourself a catastrophe. And I'd really like to see real-world tests on long lengths of load-bearing carbon-nanotube structures before just accepting that they'll be immune to that sort of attack. * Chosen for example because it's a piece of 70 year old tech that can be built in a garage. By the time beanstalks are an option corporate executives will probably be flying better-shinier-faster private rocket-planes into Washington DC to ask for bailouts. A functioning beanstalk implies a geopolitical environment that's been stable long enough to plan, finance, and build. The Hoover Dam took about fifteen years, and the Three Gorges Dam a bit over ten (But it was first proposed in 1919). This is on par with the Great Pyramid of Giza, and other get-it-done-in-the-king's-lifetime megaprojects are typically about a decade to a decade in a half in construction. Say it takes ten-fifteen years to convince a generation of investors that it's safe to pump money into a beanstalk, and ten-fifteen years to build the thing, that's a generation of stability right there. If all the great powers of the era support it's construction, there should be no hitches. If they don't then you've got another five-ten years of negotiation, bribery, and blackmail to get all the treaties in place. Twenty-five to forty years of stability is possible (That's less than the two-power stalemate of the Cold War, and there have been longer quiet eras), but I don't expect anything similar to arise in the next generation. Probably the one after that, but that's just playing the odds. All this assumes beanstalks are competitive with rocket launches, laser-launch technology, balloon-assisted launches, or whatever other alternatives physicists and engineers come up with (Maglev-assisted launch? Why should frogs have all the fun?). For a change I'll defend beanstalks. (!) A bit. Knocking out a length of the secondary structure would be a serious disruption. But if the whole 40,000 km track can be built for any reasonable price, repairing a few hundred meters should be a matter of weeks, not months. It's when you think of building 40,000 km of vertical railway (extending into space!) in the first place that the magnitude of the project becomes clear. As you say, this is a Great Pyramid scale of project. I think your final para is the money graf. This is a technology about which all we can say is that it may be theoretically possible. People have thrown up their hands at the expense of conventional launch tech and the disappointment of the Shuttle, and jumped on this bandwagon when there are a bunch of alternatives that are better known and could be viable given sufficient traffic demand. If you look at many recent big infrastructure programs, you can see most of them come gradually. Railroads, for example, started first as short routes which were gradually expanded if they were effective while highways were after all "upgraded roads" and made sense if the volume of road traffic was allready high. A space elevator however would be something totally new that would have to be constructed entirely from zero, there is no possibility to just build half an elevator and later upgrade, it will have to go directly to Geostationary orbit. So it will be a huge initial investment for something that has never before been tested. About rotovators: This has been the first time I have heard about this, and have to say its quite and interesting concept. However if people is worried about the effect an elevator would cause on orbital traffic, then it should be even worse with such a long rotating cable, not? The other problem with a rotovator would be docking in mid-air. There have been multiple attemps in the development of "flying aircraft carriers", and the main dificulty has always been to dock the aircraft on the "Mothership" no matter if it was an Airship or a B-36. If the speeds I have read for a rotovator are fiable, i simply see it highly dificult to dock a plane at speeds between Mach8-Mach12 to a fliying hook midair. As a question: There have been from time to time sugestions of space-aircraft. Vehicles wich take off as regular aircraft and use scramjets to reach the upper stages of the atmosphere, where they use rockets to finaly reach orbit. Would such a system be a reliable replacement for today´s rocket-boosters? It's been mentioned that elevators might be built on the Moon or Mars before Earth, which would (somewhat) get around the issue of scaling the technology up. But obviously that puts the whole thing well into the future, when there is enough traffic at those places to justify less demanding but still pretty spectacular structures. Docking to a rotovator could indeed be tricky. In principle no horizontal motion needs to be involved at the docking point, the rotary motion of the lower end just compensating for the orbital motion, so the hook appears to come straight down, then go straight back up. But that leaves a very short time window to hook on! Aerospace planes as an orbit lift solution are very elegant in principle, but scramjets do not seem to have panned out very well. I'd guess that one problem is that if you're flying in dense enough air to provide useful thrust at speeds above Mach 6, the airframe is subjected to a really severe heat bath. I think that the very nature of the rotovator requires that the end dipping into the atmosphere can't be hypersonic... I'm not even sure if supersonic would work. As it dips into the atmosphere, the turbulence would be too much. A controlled lifting body could probably work at subsonic speeds. They are probably better used for getting stuff already orbiting into higher orbits. Of course, at this point, we've got VASIMR already tested and likely suitable for the orbit changes. So we still need some sort of heavy lift vehicle to get into orbit in the first place. Well I took the speed numbers from diferent sources found from google. No idea if they are thrustworthy. Althoug the idea of being able to change an object from one orbit to another is a good one. This way orbital vehicles would not need on board engines, reducing launch weight. Well, I suppose that if there is already enough traffic in lunar orbit to build an elevator, then an elevator around Earth would already have paid for itself. Not to speak that if there is not an self-sustainable advanced colony in the Moon, a space elevator there would be far more expensive than on Earth (unless take off becomes much cheaper, in this case an elevator would not make much sense). Yes heat would be an important problem. Advanced materials (like titanium aleations and others already used in hypersonic aircraft) could help, but that would increase unit costs, not to speak about reliability problems (like the Shuttle). It seems that space vehicles will have to play with the dilema of unit costs vs. reusability. Maybe the best solution could be something in between like a vehicle designed for a specific number of space fligths which should latter be replaced. The US Air Force has been in lust with the idea of spaceplanes since the middle of the last century, and before that I think it was the Navy pushing the idea. As far as I can tell, the main problem is that cost-wise it combines the worst of two worlds: A high-performance high-altitude aircraft and a spacecraft/re-entry vehicle. Trying to meet both requirements has so far been impossible and is likely to be expensive even with improvements in the required technologies. If we ignore re-entry (maybe some sort of lifting body design) then the two stage heavy lift vehicle with launch from high altitude can alleviate some problems (maybe). Launching from sufficiently high altitudes (up to 20km) may lower the resistance enough that an accelerating launch vehicle wouldn't need so much heat shielding. Once clear of the atmosphere, a rotovator can do its job and accelerate you up to orbital speeds without the nastiness of air turbulence and mach 20 heat buildup. Once in orbit, various tugs or Jacob's Ladder style rotovators can get you around. Perhaps to the orbiting assembly facility where your dedicated space only vessel gets assembled from parts shipped up. On the way back down, a rotovator can chuck you backwards so that your velocity upon re-entry is subsonic and you basically plummet with braking chutes and glide in. I find the idea fascinating from a mathematical perspective, but terrifying in practice. That almost sounds like an extreme sport, where you time your lift off from the grapple end, then parachute down the 100 km or more to earth. Probably need some sort of ablative emergency escape bubble for at least part of the run. As Citizen Joe noted, once you are in orbit, getting around becomes much easier. (Not easy, but much less difficult than orbit lift!) Low accelerations allow use of high specific impulse drives, or at least smaller rocket engines. The basic problem of surface to orbit lift is that the requirement is so extreme - about 32 megajoules per kg placed in orbit. The result is that any vehicle capable of reaching orbit has to be an extreme design, lacking robustness, therefore expensive and delicate. And there is no real way around this, short of magitech. Which is a real problem for spaceflight. It should be pointed out that we can build single-stage-to-orbit launchers now. It's 1960s-era technology. It's just that they're not reusable SSTOs. The launcher goes up... And it stays up. It's when we start getting into trying to build reusable launchers that we start running into problems. There are launch technologies that work around the problem, leaving the launcher on the ground while only payload goes up. These launch-stations can be as bulky as they need to be, and they can be high-maintenance facilities, because they don't move and it's easy to get a crew to them. Beanstalks take a different approach. They make 'launch' a permanent condition. They're always up and they're always in use. They don't move, but they're not easy to maintain. If anything goes wrong you need to send crews out on blimps and helicopters to repair the lower end, and at the higher end you need spacecraft as repair trucks. The more I think about them, the less practical they seem. But it's hard to compare anything when all you have is study papers and 1/100-scale tests. What if you had tow counter rotating rings around Earth with multiple pinion gears between them. The pinion gears would remain stationary while the centripetal force of the spinning rings would give lift. Now you have the beanstalk but it is only 300 km long instead of 32000. Once you reach orbital altitude, you slide out from the center of the pinion, accelerating to orbital speed. You know... if we're positing all these break through in megaconstructions, maybe we should just build a 200 km tower. Spread it out over 120,000 square km at the base (mostly guy wires) and build up layer by layer until you get out of the atmosphere. Then its just an elevator lift into position followed by a precision rotovator boost to orbital speed. Ian - Yes, we could build expendable SSTOs. Significantly, the preference has been for 2-stage vehicles, to get a larger payload fraction. (The first generation US and Russian orbiters were 'one and a half stage' so that all engines could be started on the pad. As you note, alternative launch techs from laser launch to beanstalks try workarounds, but they all encounter some form of the challenge - in the case of beanstalks, the extreme tensile strenth required; for laser launch, the challenge of beaming the needed power though the atmosphere, and hassles of launch geometry. Citizen Joe - What if you had tow counter rotating rings around Earth with multiple pinion gears between them. I don’t think you would need any type of airships or space trucks, like Ian_M says, in order to maintain and repair an elevator, all you need is to have at least two separate tracks (this means, two routes along which two trains can drive simultaneously). Regular maintenance could be done in a similar way to how it’s done today in the offshore oil industry: Different damage control sensors built inside the cables would transmit data about the state of the track. Additional sensors (presumably those which require more space) on each train would provide additional information on every trip. Periodically (every week, month, year, day?) you can send a train with technicians and more advanced equipment for a more detailed inspection. If a defect is found you can have two options: to repair the cable in place or to replace it. If it is possible to drive along the damaged track (a redundant cable for each track would be a help), you can put a train just in the affected area and let the technicians to repair it from inside the train. Otherwise it will have to be done from the adjacent track. In order to replace a cable, for example track 1, you can use the train at track 2 to bring the cable to the ground. After that you use track 2 again to drive a second train to lay a second cable from ground to orbit, not unlike a ship which lays a deep ocean telephone cable (if that’s not possible then you use the train to supply the orbital station with enough material to bring a cable down, assisted by construction crew and equipment from the train if necessary). This way, the only vehicle needed to maintain the elevator in normal conditions would be the trains of the elevator itself. Additional tracks would allow to conduct maintenance operations without any need to interrupt traffic. If I am correct supposing that the most difficult part of building an elevator would be to put the required structure in orbit and to send down ( I am right supposing you would build such a thing from orbit to ground, not?) the first track (for additional tracks you can assist yourself with the trains), could such a scheme work? I figured out a work around for the trains needing to have engines on them. Step 1: build the beanstalk with some sort of station at Geosync. This cable only needs to support itself, no weight. It is just a guide cable. Step 2: build a cable three times as long where one third is spooled on the ground, and one third is spooled into the counterweight. Step 3: install the heavy engines/reactors/motors in the counterweight and on the ground station. Step 4: attach payload to grapple point on tow tether. Step 5: counterweight starts reeling out cable allowing itself to drift further away from geosync and thus have more lift capacity. Step 6: when the counterweight has enough lift to pull up the payload, it stops reeling out the cable and lets the centripetal force lift the payload and whole cable upwards. The ground station plays out cable at the same time (acting as a brake as needed). Step 7: Counterweight reels in cable faster and faster as the payload leaves the atmosphere. Maybe a hundred or so km/hr in the atmosphere and then accelerating to ten times that when clear of air resistance. Probably a little under two days to reach geosync. What I did there was change from a railroad to the cable car system. The heavy weight of the machinery is where it is needed and helpful, meanwhile the payloads can remain light without the need for heavy motors. qwert - I agree that normal inspection and maintenance would be done by trains. That is how railroads do it, or used to. Repairing a damaged cable is problematic, though. I suspect you'd have to replace it, then winch the damaged one up. Citizen Joe - The technical term for what you describe is a funicular. (Or at least when it's inclined; I don't know if the term is used when the lift is vertical.) But I suspect that these are big, heavy cables, like suspension bridge cables, so alas the arrangement wouldn't work. But you might be able to use regenerative braking of descending trains to recover most of their potential energy. Though that gets into the whole question of how you power the trains, emergency braking, etc. The cars themselves don't need to be powered any more than the cars of an actual railroad. So box cars may have some sort of battery operated lighting and transponders, but nothing significant. Passenger cars need life support, but the payload is the car, not really the people in that case. I suspect however, that people would be transported up by some other technique, leaving the elevator for heavy lift of material. Of course, I'm asking for three times the length of cable/tether. But if we assume we can make 40Kkm of cable, making three times that amount shouldn't be a problem. The longer cable isn't a problem, but if it is the size of a suspension bridge cable it won't go around the pulley at the top very easily, and probably has much more mass than the trains. Otherwise, as to whether individual cars are powered depends on several things, including whether you're running multi-car trains. In electric railroading, the choice between locomotive hauled trains and self propelled MU cars (like a subway train) depends on lots of secondary operating considerations. If passengers are carried, one important consideration will be rescue from stalled trains. Along most of the line the only way to reach them is another train. I was thinking multiple km diameter pulleys or spools rather. They WOULD have to coil up about 40Kkm of cable. A rescue mechanism for a passenger car could simply be releasing the brake/clamp and letting gravity pull you down the cable to 'safety'. That trip could take weeks though. Multiple tracks/cables could use the same guide tether, but there's issues with the lines tangling. Additionally, since the cables that support the payloads are moving, they can be continually inspected as they pass the various stations. If needed, they can be repaired at the stations as well. The toughest rescue problem arises if something immobilizes a train - a broken wheel, or damage to the track structure (as distinct from the primary strength cable it is attached to). Then you'd have to bring a train on the other track to transfer passengers. This also rules out a simple funicular style system with a car/train on each end of the moving cable. In that system (which is what I thought you had in mind) if one train is immobilized, so is the other. But you speak of spooling up cables, implying that each track runs independently. But I'd be very worried about tangling/jamming with any cable-hauled system! "The toughest rescue problem arises if something immobilizes a train - a broken wheel, or damage to the track structure (as distinct from the primary strength cable it is attached to). Then you'd have to bring a train on the other track to transfer passengers. This also rules out a simple funicular style system with a car/train on each end of the moving cable. In that system (which is what I thought you had in mind) if one train is immobilized, so is the other. But you speak of spooling up cables, implying that each track runs independently. But I'd be very worried about tangling/jamming with any cable-hauled system!" Wait: doesn't the concept of the Space Elevator is that the cable doesn't move; the cars do. They are either powered by external beamed energy from the ground to the car, or they are powered by a current comming through the cable itself. If a cable is damaged, it may be repaired by 'reweaving' it; if it is broken, then you have to re-string it; the lower part would fall to the ground and the upper part would be drawn up into higher orbit. The typical idea of the elevator is stationary track with moving cars. Actual (building type) elevators use spools and/or counterweights with emergency brakes to grab the guide tracks. If you're using 'crawlers' to climb a stationary cable, they put wear and tear on the cable with every accent/descent. 'Beaming' energy 40,000 km through the atmosphere isn't really feasible either. Transmitting power through the cable has problems as well, line degradation, heat dissipation, etc. and you still need a big honkin' motor to lift your payload. The advantage to the spooling system is that the very large wheel used for the spools is more gradual and thus less damaging to the cable. Since the cable is moving by a stationary point, it can be inspected for damage and repaired as needed. There is no need for a large motor on the cars, since they just hook on to the cable and get pulled up/down. Even the lift motor isn't really needed since it relies on centripetal force. Additionally, the mass for any motors/reactors/power supplies is where it is needed, at the counterweight. With the counterweight extended, it could also produce artificial gravity for those living there. It could be an acclimatizing site. So go all the way up to the counterweight, where gravity is half or less of Earth. When you get used to low gravity (and even varying gravity as the counterweight does its work) you can then move the the GeoSync station and eventually off in space ships. Tangling is a big problem though. I was sort of thinking of getting power the same way electric trains do - but as you say, 40,000 km is a lot of transmission line. On the other hand, keeping a hoisting cable aligned over 40,000 km is also a challenge! I also have a vague feeling that the hoisting cable would weigh much more than the trains, meaning you'd be using most of your power just to move the cable. But anyway, all this is assuming we're able to make long cables with the full strength of carbon nanotubes. Currently (I was reading this in my day job) they spin nanotube fibers into 'yarn,' which - currently - has only 10 percent of the strength of the individual tubes. But you don't hoist the cable, you hoist the counterweight. The counterweight, being beyond geosync, has lifting power which transmits through the cable to the car. The cable itself ends up being neutrally buoyant. But like you said, this all hinges on the ability to make full strength cables of the appropriate lengths. One possibility for rescue is to make each car also a reentry capsule. Aerobraking is probably cheaper than inching the cargo down, and if there are people aboard when a car gets stuck, all it has to do is release whatever is holding it to the cable (and probably fire maneuvering rockets to get to a safe distance). That's one way to get back down! But I would guess that by the time we have the tech and traffic demand for elevators, there will be alternate ways of rescuing stuck cars. Here's a concept for a space elevator, an orbital ring. We set 12 or more even number of stations into space, in a stable low orbit. They are then attached by wires to form a ring, with little tension in the wires. We then start constructing the giant flywheel. It is seembled in curved sections, starting from one orbiting station to another, and doing so symetrically. The first layer is simply a tube made of struts. The second is an assembly of electric motors, pulleys, wheels and water tanks that can be pumped full or empty between each other (make them extensible bladders). Finally comes the flywheel itself. It as a ring of carbon encircling the whole of the station's orbit. It is spun up to orbital velocity, matching with the structure surrounding it. Then, it is spun up faster, and the surrounding structure is slowed down to zero relative to the ground. They compensate for each other, and the ring's strength absorbs irregularities, centifugal force does the rest. Depending on the strength needed, carbon may not be necessary, and a cheper filler can be added. The external structure is then attached by guy wires to the ground, followed space elevators. The elevator cars pull on the structure, the main electric engine provinding the lifting force is on the ground, but it runs a loop over one of the aforementioned station. To balance this force (and avoid catastrophic oscillations in the ring) water is pumped to the opposite end. If this is not enough, I'm sure the guy wires can be reinforced to support extra loads. Disadvantages include maintaining balance every part of the way, and the wear and tear of a fast spinning, massive flywheel with corresponding moving parts. I think failure would propagate much faster than you could spin the thing up! And this seems to require non-orbiting bridge span structures up to thousands of km long!